Seems like every time someone gives tips about improving photography, they start with something technical. That is understandable; there is a lot of technical stuff to learn in photography. At the same time, it seems like there should be some non-technical things that could be done today – right now – to improve. Turns out, there are. 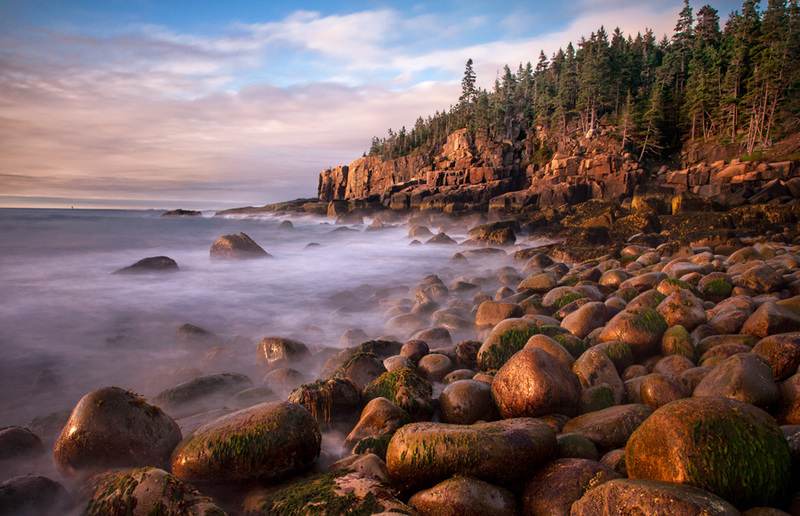 Here are my top-10 non-technical tips you can use right now to make your photographs better. Try them out net time you are photographing. I guarantee instant improvement in your outdoor photography. We all love a good scenic shot, but too often these look like average snapshots. We all seem to have to learn the lesson that a great view does not equal a great picture. The fact is, most great photography of scenery gives the illusion that you can walk right into the picture. This is done by getting low to the ground so your foreground is a close-up of a pattern, plants, or some sort of formation on the ground. The next time you are in that beautiful location, don’t take the picture while standing up at your full height. Rather, crouch down and view the scene that way. As you look through the viewfinder or at the LCD, worry most about the foreground (or the bottom third) of your picture. The background will take care of itself, as that is what caused you to put the camera up to your eyes the first place. Get low to the ground when you take outdoor pictures. Use rocks or whatever you can find to add foreground interest. This one tip will vastly improve your photos. We all tend to put some background elements in our picture so that our viewers will recognize the location or context of the picture. The trouble is, beginners always put way too much context in the picture and it dilutes the subject. In any event, we humans are amazingly perceptive and can place context of the photo with only the tiniest of clues. Next time, try to include just the subject. Decide what your subject is, and then move it a little bit off-center. If you have a horizon line, don’t put it right in the middle, but a little towards the top or little towards the bottom. If you want to accentuate the sky, put the horizon line a little toward the bottom. Conversely, if you want to accentuate the foreground, put the horizon line a little higher in the picture. If you are photographing a person, put them slightly to the side (usually opposite the size to which they are looking so it looks like they are looking into the picture). You will be surprised at the results this little change makes to your compositions. 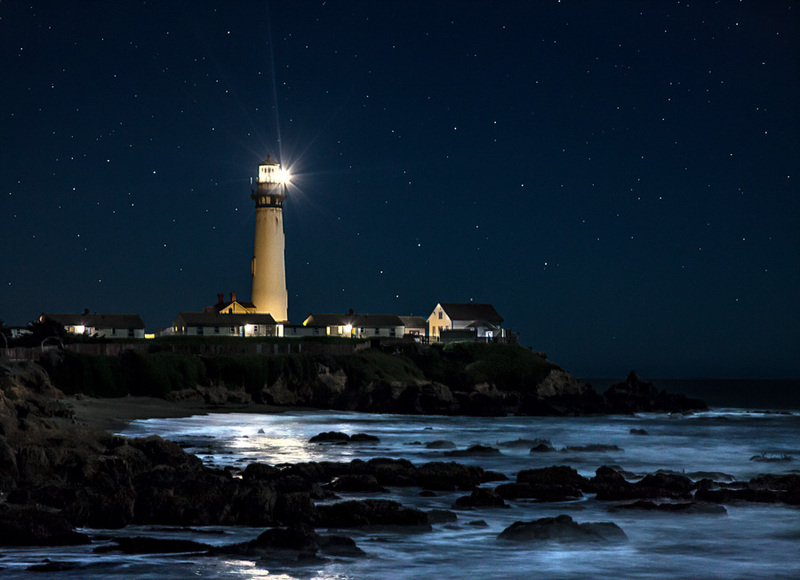 Putting the subject in the middle of the picture of Pigeon Point, CA would have ruined the photo. Put the subject to one side, preferably on an imaginary “thirds” grid-line. Different levels of exposure create different moods. This is especially true of underexposure. It creates a sense of drama and sometimes mystery. Another benefit of slightly underexposing your images is that it makes your colors appear more saturated. Don’t overdo it, but next time try to knock the exposure level down a touch. 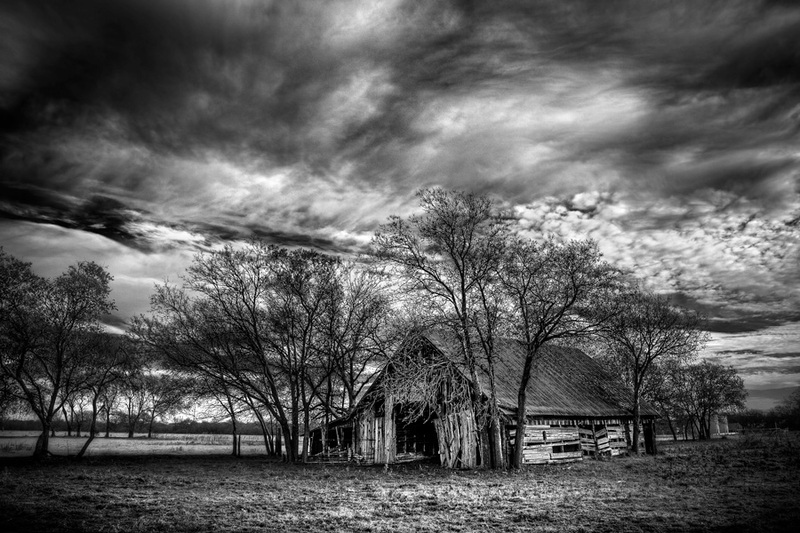 Keeping the exposure dark adds some drama to this photo of an old barn. A close cousin to the “fill the frame” tip (it bears repeating) is to get close to your subject. Now get closer. Now get closer still. You actually still might not be close enough. Keep at it. So, you’ve got a great scene lined up. Maybe it is a landscape, maybe an urban scene. Go ahead and take the shot, but then recognize that you probably just got the same shot as everyone else. The scene isn’t going anywhere. Wait for an interesting development. That might be a person walking through the scene. It might be a flock of birds. It can be anything, so keep your eyes open. That extra something can be the thing that sets your picture apart from countless pictures of the same thing. You don’t need to wait around all day, but another minute or two might make all the difference. 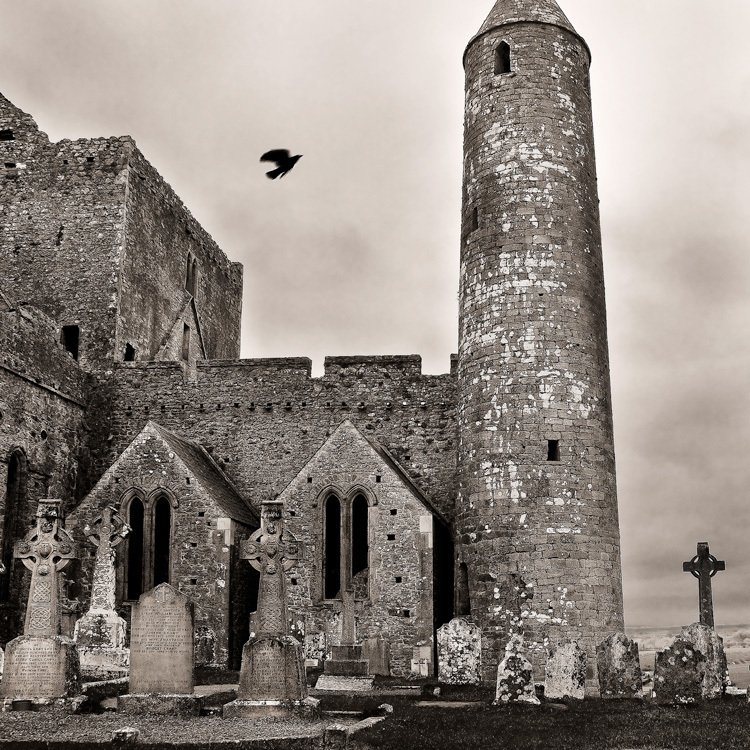 A nice photo of the Rock of Cashel made much more interesting by a bird flying across the frame. Oftentimes you will find yourself before an interesting subject, but with no interesting background. A great solution to this problem is to use a frame within your frame. It can be a complete frame, or a partial. The most obvious examples are doorways, windows, and tree branches, but almost anything can be used. A more literal example of framing, where I used the window of an abandoned miner’s house to photograph the landscape at Big Bend National Park. Using tree branches to frame in two sides of a photo of a windmill at sunset. Right before you go out to take pictures, look at the best photography you can find. If you don’t already have your favorite place(s), start with the Popular page at 500px. Doing this right before you head out seems to always lead to better pictures being taken. I know you don’t believe me, but it makes a BIG difference. Try it and your will be a believer. Don’t just take one picture and walk off, assuming you’ve nailed it. Take pictures from different angles. Get low, then get higher. Get behind your subject and then in front of it. Pros call this “working the scene” and it is not uncommon for them to take dozens of pictures of the same thing from slightly different perspectives. Remember that with digital photography it costs nothing to take pictures – so take advantage of this and take a lot of them. Related to the prior tip, after you are done shooting don’t show people all the different pictures you just took of the same thing! When you look at a great picture hanging on a wall, or on the cover of a magazine, they don’t also show you the 300 other pictures the photographer took that day that aren’t quite as good. They just show you the very best one. Take a page from their book and only show your best pictures. That may be a limiting factor now, but you will be surprised how fast your collection of great pictures grows. These are all tips you can put into action today. You don’t need any special equipment. The total cost of all extra gear needed to put these tips into action is $0. So give them a try and you should see immediate improvement.